The Portland Museum of Art (PMA) opened The Robbers: German Art in a Time of Crisis February 23. 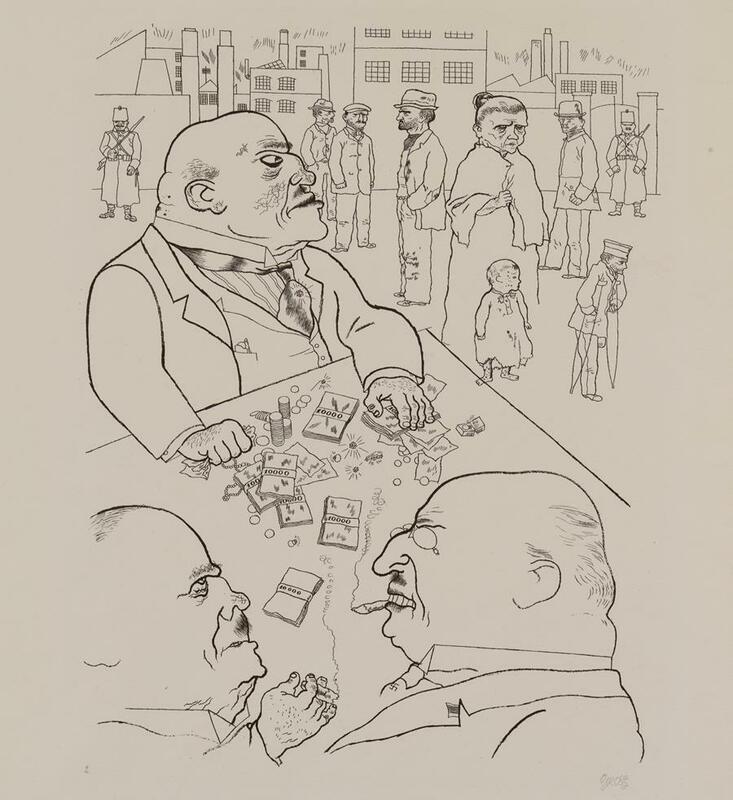 The exhibition of 21 German prints executed between the World Wars highlights George Grosz’s 1922 lithographic suite The Robbers: Nine Lithographs on Maxims from Schiller’s “The Robbers" as well as artworks by other printmakers of the era, including Max Beckmann, Otto Dix, and Käthe Kollvitz. The works on display powerfully blend issues of history, politics, art, and national identity, provoking questions about who we are and what we value in ways that are as pertinent today as they were a century ago. With the lithographic suite The Robbers: Nine Lithographs on Maxims from Schiller’s “The Robbers," Grosz updated Friedrich Schiller's iconic 1781 play of the same name, depicting the canonical story in the tumultuous climate of early 1920s Berlin in which he lived. With figures culled from the modern era, Grosz’s imagery suggests the vast social discord where the traumatic effects of the mechanized war, greed, industry, and poverty intersected to undermine national stability in the young Weimar Republic. 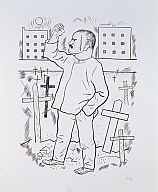 Many of the prints in this exhibition, including the Grosz series, represent a post-World War I aesthetic known as “New Objectivity.” Whereas German Expressionists of an earlier generation often depicted emotional responses to the modern condition, highlighting themes of angst, inner turmoil, and social alienation, the leaders of New Objectivity rooted their prints in a type of biting, provocative realism, often relying on satire and caricature. Because of their goals to be socially engaged artists shaping the national discourse, many of the artists working in these styles found the print medium to be especially efficient as prints could be disseminated more broadly than painting or sculpture. The Robbers: German Art in a Time of Crisis, which opens in the centenary year of the end of World War I, turns our attention away from the conflict itself and towards the aftermath that defined the next two decades. These works, many of which are gifts to the PMA from David and Eva Bradford, add context to the social and artistic expression of the era and are equally probing in their evaluation of German society and national identity. Norma Boom Marin, the widow of John Marin Jr. and daughter-in-law of the painter John Marin, began collecting German Expressionist prints after her husband died in 1988. Now, she’s giving 28 of those prints to the Colby College Museum of Art in Waterville.Maine. 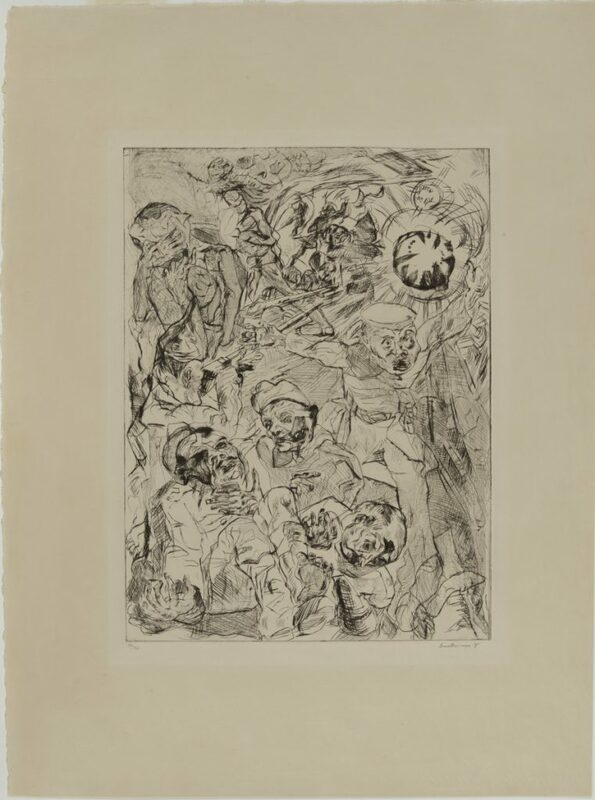 Many of the 28 prints are brilliant or rare impressions and include works on paper from German artists of the early 20th century, including Otto Dix and Ernst Ludwig Kirchner. 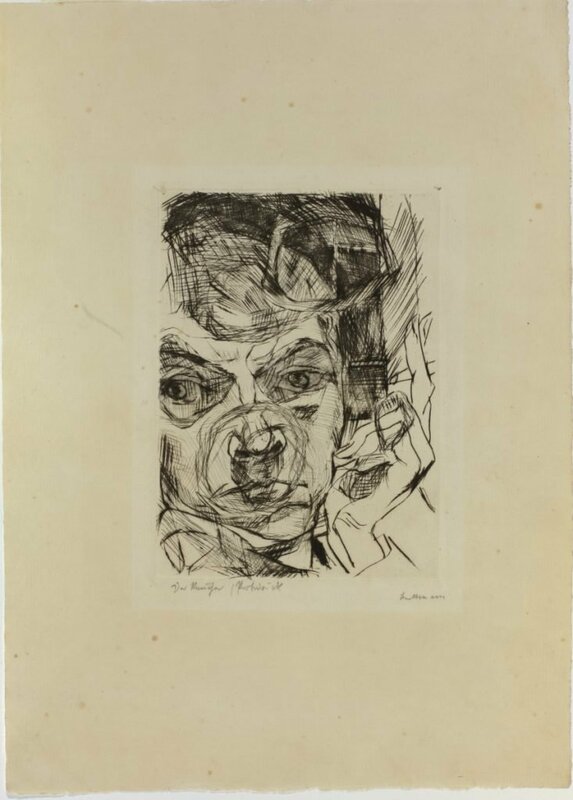 There are five prints by Max Beckmann, a color lithograph by Emil Nolde and a drypoint print by Conrad Felixmüller. Colby will show the prints as its major summer show. 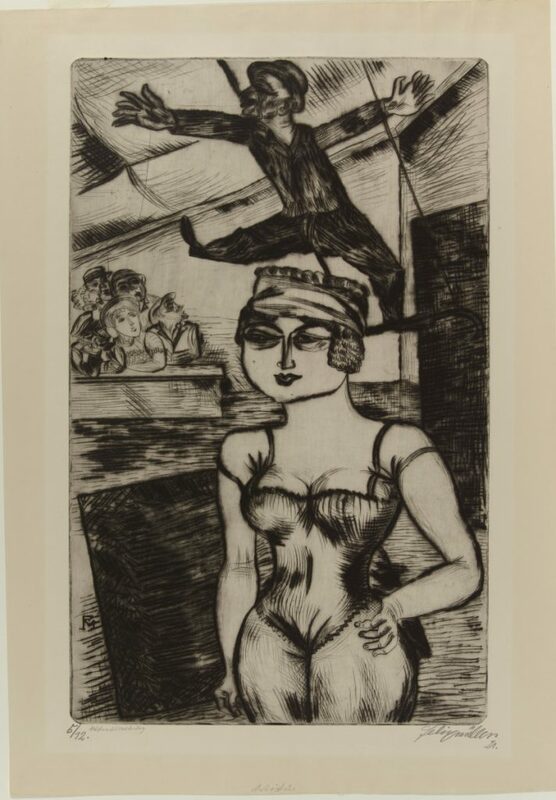 “Self and Society: The Norma Boom Marin Collection of German Expressionist Prints” will open July 14.